The Marvin Infinity window is the company's higher end fiberglass window, that is widely regarded as one of the best fiberglass windows available. The performance numbers on the Infinity not overly impressive, although an upgrade to one of their better glass packages can improve the numbers substantially. The Marvin Infinity has some very nice features to it such as a single sash locking tilt lever and a huge array of hardware colors. In terms of Marvin Infinity vs Integrity Windows, the Infinity offers more options than the Marvin Integrity, which is also a fiberglass window, although typically considered a less well built and cheaper option. The infinity offers a better looking frame, more sizing options, and better hardware than the Integrity model. The Infinity comes with a fiberglass exterior and an interior option of either the Ultrex (fiberglass) or a wood veneer called their EverWood that resembles the look of wood, but does not require the maintenance that a real wood species does. Consumers can expect to pay $65 to $75 psf for the window itself and $50 to $150 for the installation per opening. This equates to somewhere in the neighborhood of $80 to $95 per square foot fully installed. Compare the Infinity model to Milgard Ultra pricing and Inline windows cost. The Marvin Infinity gets decent performance numbers, but perhaps more important is the quality of the construction. Overtime, mediocre to poor construction will lead to decreasing numbers, while better made window units will continue to offer solid performance. 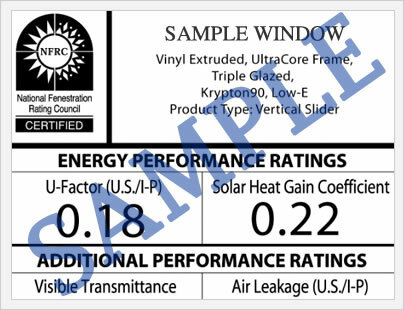 With the Low-e2 window package, consumers can expect a .29 U-factor, .30 solar heat gain coefficient and a .16 UV protection. The Marvin Infinity warranty includes 10 years on manufacturing defects in the materials and the workmanship. 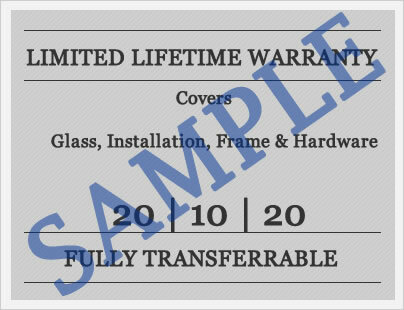 Insulated glass is covered for 10 years, clear glass and stainless steel spacers carry a 20 year warranty, while non tempered glass carries a ten year warranty. The cladding finish is warrantied for 20 years, specialty exterior finishes carry a 5 year warranty, as does interior finishes. Window components such as hardware, lift rails, etc. carry a 10 year warranty. Like most window warranties, there are a number of exclusions and limitations so we urge homeowners to read the warranty completely before you purchase. Do you have a question about the Marvin Infinity? Our site editors can help you get the best info on pricing, upgrades, installation, bids and quotes, and help you analyze your project quotes for your next home window replacement purchase. Want to add your Marvin Infinity Ultrex reviews to our site? Post it in the form below and help others make the right window replacement choice for their house. I just received a bid for infinity by marvin ultrex windows in Denver, CO for $18,000 to replace 15 old 1954 windows. This totals 222 square feet argon filled dual pane windows, LoE3-366 rating. Would be very happy to hear your opinion on the price and quality of these windows. I would be happy to write up a review on your site for your assistance. If you could help me with this I would greatly appreciate it. As it is the end of the month I'd like to get back to the salesman by late tomorrow, apologies if this is an unrealistic turn-around time. Andrew, the Marvin Ultrex is an excellent fiberglass window and one that should serve you well with proper installation. As far as price, this seems in line generally, although its nearly impossible for me to make this judgement since I don't know the project specifics. I would highly recommend that you get several more quotes to compare price and companies. I know that Zen Windows has a branch in Denver (they sell Soft-Lite vinyl windows), I think they sell three models and the top two are good, avoid the entry level option. Also check on Alpen Windows, which are expensive, but very well made fiberglass windows. Milgard also makes a good fiberglass window, the Ultra model, which might be a good comparison window as well. I'd caution to take your time and get the bids and spend a bit of time doing some good comparisons before pulling the trigger.